P1273. 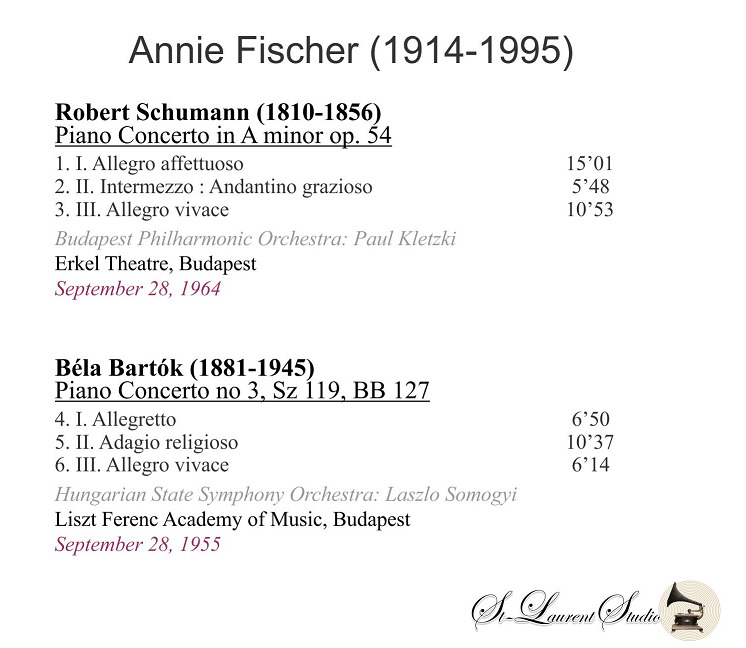 ANNIE FISCHER, w.Kletzki Cond. Budapest Phil. 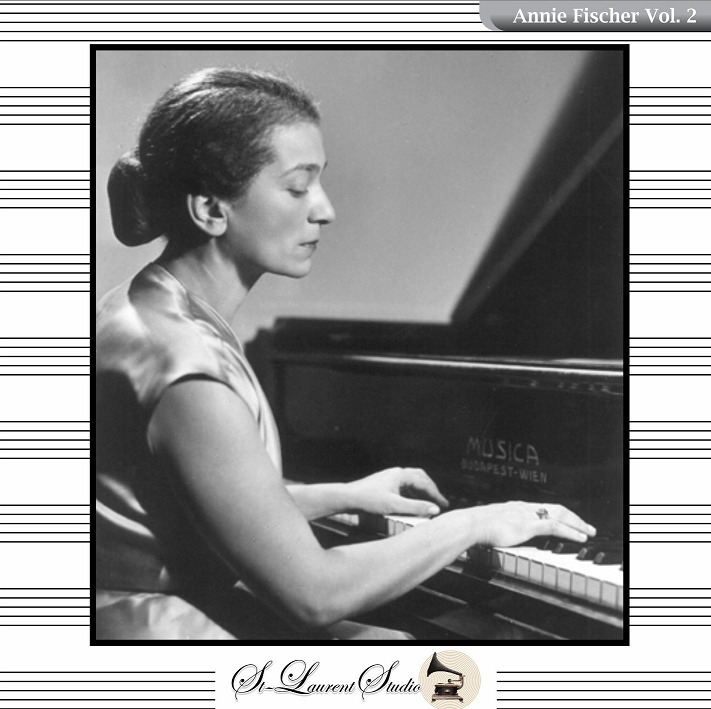 : Piano Concerto in a (Schumann), Broadcast Performance, 28 Sept., 1964; w.Somogyi Cond. Hungarian State S.O. 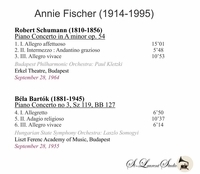 : Piano Concerto #3 in E (Bartok), Broadcast Performance, 28 Sept., 1955. (Canada) St Laurent Studio YSL T-630. Transfers by Yves St Laurent.